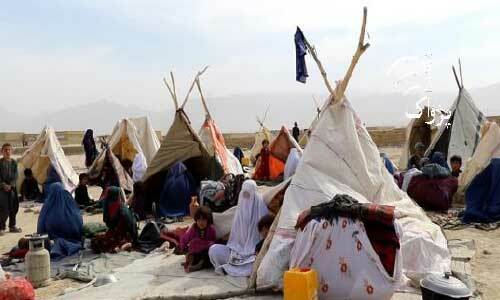 MAZAR-I-SHARIF - Dozens of war-displaced families from neighbouring Faryab province to northern Balkh province have been in dire need of assistance. These families fled homes in Faryab’s Qaisar, Almar, Khwaja Sabzposh and Shirin Tagab districts owing to clashes between security forces and militants and took refuge south of Mazar-i-Sharif, Balkh’s capital. Abdul Saboor Qadari, Balkh’s refugees and repatriation director, confirmed some families had recently arrived from Faryab province to Mazar-i-Sharif due to the conflict in the province. He said a survey was underway to distribute emergency assistance among the displaced families. Najiba, 40, another war-displaced woman, said they were displaced from Khwaja Sabzppsh district due conflict in their area. She said clashes were ongoing in their district for the past six months. She urged the government to help provide them basic assistance as soon as possible as winter season was fast approaching.